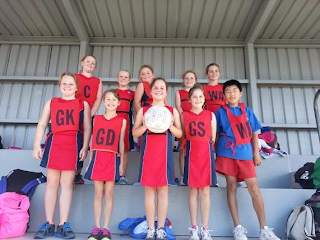 On the 26th May there was an Interschool Netball Field Day. The Sunnyhills team B-5A showed great team work and encouragement of each other, battling the very cold wind and rain and still won all their games! Thanks to Tina Funnell for this photo.